Backup your iOS device before proceeding, you can do this manually with iTunes. The device is now jailbroken. This is a fully untethered jailbreak, meaning you can reboot at will without the need for boot assistance from an application or computer. Troubleshooting: If you see an “Error establishing a database connection” error during the process, just wait it out and try again, or start a VPN tunnel through Settings > Network > VPN > ON (via @pod2g). The Absinthe Greenpois0n servers are swamped by the initial demand but things should even out shortly. What do you mean to create VPN tunnel via @pod2g, Do you have a video to explain it graphically? I am getting the same problem, have you got he solution to the problem, I am also stuck !!! It’s taking too long on ipad2, Any Advice? On iPad 2,1, it’s been running for 10 hours, still not finished! Interesting. Got the database connect error after clicking the Absinthe icon. Read this and found that the VPN is preconfigured. Turned it on, it appeared like it crashed (after a retry or two) and then I got Cydia replacing the Absinthe icon. Word. Same on this end. Same. URL cannot be shown. Anyone found a fix yet? Contacts, Game Center and Settings icons are plain white since the jailbreak. How to fix this?? had same problem. happens sometimes after getting new tweaks from cydia. respring it (not reboot) that should do the trick. works for me every time. -If the Absinthe webclip shows “Error establishing a database connection”, please go to Settings, turn on VPN and wait instead. Toggle VPN only AFTER Absinthe says it’s done, or it will not work. VPN SHOULD error and then reboot soon. If it does not, rerun Absinthe! -If you get a strange problem, we advise you to restore your iPhone with iTunes, if you can (i.e. if you’re not on 5.0 waiting for an eventual 4S unlock). my FaceTime icon is like that too!? i tried respiring and reboot.. nothing works? anyone else? are you supped to loose all the pics in ur camera roll? same here, i lost all my pictures, tried to rerun twice absinthe but nothing new. so Absinthe doesn’t run on a PowerPC? Does this mean I can’t jailbreak my phone? Apparently not- I tried this also on a PPC G5. Like most contemporary OSX software, the Absinthe JB is incompatible. That’s why I mostly run Linux on these powerful but orphaned platforms. If you have no other option than using your PPC for the jailbreak, consider installing Linux now, so you’ll be ready to run Absinthe for Linux when it is released “soon”. if i back up my phone from my pc but bring it over to my mac just to jailbreak it can i bring it back to my pc to get all my stuff back onto it? It would be easier to wait, young hopper. remove all passcodes from iPhone/iPad then rerun the jailbreak using ur comp. then turn the vpn on, it will restart automatically and cydia will appear! Fantastic work. Best/easiest jailbreak I have ever done. Thanks to all! I can’t launch Absinthe…get an error saying it has quit unexpectedly…try relaunching with same error. this is a major problem that people are ignoring.. Can anyone out there in the world help?? I have a IPhone 4S Which is Not Carrier Unlocked, It is a UK Model so its not AT&T but Is Vodafone Locked, I don’t have the Sim for it and I get the error Please Insert a Valid Sim. If I try to Jailbreak it using GreenPoison’s Absinthe it is Stuck on Beginning Jailbreak,This may take a while from the past 15 mins, any suggestions?? Ok this is good news..
but a JailBreak does not mean a carrier unlock rite? restore your ipad so that it completely takes away the jailbreak that you just tried. 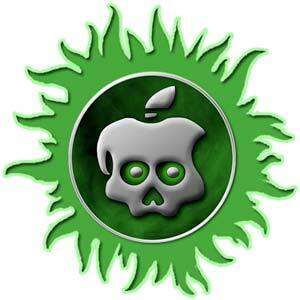 jailbreak your ipad again using the new version of absinthe. run the app. you will not need to go to the vpn setting anymore. I ran Abstinthe, plugged my phone in and clicked JailBreak. But the bar hasn’t moved in maybe over an hour. It says “Please wait, This may take some time” but my buddy had his done withing 20 mins tops. kiko – stop WHINING. it will be fixed when it is fixed. HOW MUCH do you pay for jailbreaks? Nothing. So you have no right to WHINE like a baby if it doesn’t work for you. The same happen fore me too, do i have to do uninstall cydia again and install it after? I get an error using 2 Windows Pc. The ipad2 was previously JB but the iphone4S hasn’t. If and when you work it out I always donate. When I launch Absinthe from my iPad 2 it just stays on greenpois0n’s site.. It doesn’t reboot (like it’s supposed to).. Help anyone? :( I’ve already rebooted my device several times. Yep, this does nothing either. I’m guessing the server is swamped, so somewhere behind the scenes the last stage of the jailbreak is failing. But no one seems to be able to say for sure, and you hear a million people saying “Just turn the VPN on!” at which point you get the “A configuration error occurred” message, and nothing happens. Probably need to wait for the next release of greenpois0n. I’m having the same problem. Someone pls help! Is there an issue with the windows version? I keep getting the wonderful ‘Windows has found a problem’ pop-up, and just stops. for everyone who is having the issue with absinth unexpectingly stopping after it reboots and say delivering payload keep your screen from going black but dont unlock it just move the slider back and forth a little bit to keep it from going black thats what I did with my iphone and it worked. Absinth crashed on me 4 times before i tried this. I don’t know if this has happened to anyone, but on the last step where it asks you to press the jailbreak icon (absinthe icon) on my iPhone 4S to complete the jailbreak, I clicked on it, it looked like things were working, and when everything was done and I swiped to unlock my phone, all of the native normally undelete-able apps are all gone and I don’t know what to do. Messages app, Phone app, Email app, Safari, Pictures, App Store, Clock, Newstand etc., are all gone. I can still receive texts, but there’s no icon showing when I do receive one. For example, I can’t view a text because it says “Unsupported URL — This URL wasn’t loaded: sms:/open?address=%2B16503804039”. So currently I can’t text, make calls, go on Safari, view my pictures, or access the app store through my phone. But when I connect my phone to my computer (Windows 7) all of my pictures and videos are still there. I also made sure to press “back up” before doing all of this, but I don’t know where to find the .ipsw when trying to restore it now to see if it does anything. I can only find the backup folder under User/AppData/Roaming/Apple Computer/MobileSync/Backup/86525d25be49909b69661f1a5d274b462dbf072f and I don’t know what to do with it. I hope someone can take the time to help me out. I’d really appreciate any help I could get! I hope I’m not the only one with this problem. hey bro im facing the same problem too. a fix anyone? it says beginning jailbreak, this may take a wile… but it does nothing i wait for 30 minitus ?? can someone help?? Ive gotten to the final stage on my iPhone to where you tap the Absinthe icon but it stays at the “ABSINTHE is setting up, please stand-by” for several hours now. I tried the VPN tactic and rebooted several times but it still won’t load. Thanks in advance for help. if all else fails, try restoring your ipsw through itunes. Use SHIFT+Restore option if you have the ipsw saved in your mac/pc. set it up as as a new device and run the jailbreak. but instead of clicking on the absinthe icon, go to settings and turn vpn on. it should reboot after the error. that’s what worked for me. I JB my iPad 2 (5.0.1, 9A405) last night and this morning none of my iTunes music is playing. I’ve tried toggling the “iTunes Match” button to no avail. Any suggestions aside from deleting and importing all my music again? anyone know why the absinthe program won’t open on ios mac? it immediately crashes upon opening. when using windows the program opens but it doesn’t recognize the device and isn’t italicized. What am i doing wrong? For you with the VPN problem, use the latest version of Absinthe 0.2.2 I think it was. I have an iPhone 4S 64GB on O2 and this jailbreak (absinthe v0.3) worked fine on my mac running osx lion without any major problems other than a few white icons which disappeared immediately after installing sbsettings. this is simply the easiest jailbreak yet and you don’t even have to put the iPhone into recovery mode. Fantastic work guys and as always your hard work is greatly appreciated. Hi Darren, I experience the few white icons problem as well, and would to follow your solution, what do you mean with “installing sbsetting” and how is it ? trying to jailbreak OS 5.01 on ipad2 but the bar not moving. end up exit the program and reboot now Absinthe v0.3 advise my last attempt to jailbreak but fail. trying to fix but nothing done. I have the same problem. Did you get it working? I think I figured it out. I had to run a back up first. It now seems to be working.. I hope. Will I need to switch off my device? I can’t find the Absinthe icon . Do I have to start over for my iPad ? Each time I try to do the Jailbreak thing on the Absinthe app it says the URL could not be displayed or found and I have a good internet connection . Also I try VPN and it says A Configuration Error Occured . I have used Absinthe 0.3 and jailbreak my phone, without errors. I do see Cyndia icon on my phone. But I am still getting message “Activation required” on the phone and I am not able to use the phone. cannot get appropriate permission to execute absinthe jailbreak on my pc what am i doing wrong ? running windows 7 …..
I’ve jailbroken my iPad 2 iOS 5 no problem and everything is working fine except I can’t get any sliders to appear, the color and text will sometimes change but the sliding icon will not, this has been bugging me for a few days, any advice?? heey , after i used Absinthe jailbreak it gave me the icon and after awhile i played around with my iPad 2 , it automatically restarted 2 times, i have no internet connection but the Absinthe icon got replaced with the Cydia icon. Is that a bad thing or a good thing? I also want to know if in the future will my ipad keep restarting by itself. I keep getting the error “You must run app as Administrator” when opening absinthe. I have right-clicked and run as Admin, no luck. Went to properties and set to run as Admin, no luck. Set Compatibility Mode to XP w/ run as Admin, no luck. Any Advice?? If you are getting Run App as Administrator and are using Windows 7 make sure Under Computer Management that the Administrator user is not Disabled (This happens by default a lot), and then log in as Administrator rather than another user. This worked for me. Ran the jailbreak, everything worked fine. Followed the step to click Jailbreak on my phone and it took me to an Absinthe app. App opened but when I clicked jailbreak it says “Absinthe could not be opened. The error was The URL can’t be shown.” So I followed the next step and went in my settings to turn the VPN on and it gives me an error of “A configuration error occurred.” Can someone please help?! Mate, i have the same problem, could you fix it ? i have that same problem!!!! Exactly same thing happened to me! i have the same problem.Is there anyone able to solve this problem. same here bro, any luck on how to fix it? Kris Restore your iphone with compatible .ipsw file……connect with itunes and shift + restore choose d .ipsw file after doing this you can again jailbreak. Most it be on dfu mode? Hi, i just jailbroke my iPhone 4s on ios 5.0.1 . I’m happy with the jailbreak but noticed an issue with the music app. When I click on a song, it plays another song. Some songs will not enen play. Please help?! Thanks. Download absinthe-win-0.3.zip,It will do a work!! 0.4 is a shi*,just use 0.3! Try that! My iPad 2 is at version 4.3.5, do i have to update to 5.0 to use absinthe A5? if ever i need to, how do i update since the latest iTunes update only to much higher iOS? Hi in my iPad 2 there are 4 pages containing icons I can open only fst page icons which contains settings , FaceTime, photos, videos . When i plug in my White Sprint Iphone 4s. It has the newest sysytem and i have the newest system of jailbreak. It says plug in your 4s or ipad 2 and when i plug in my phone it says sorry we dont support this or we cant do this? Um.. what does that mean..? What does it mean by my ipad is not supported? I have a Ipad2 5.0.1 9A405. It always shows (lockdown error-2) when JB. Please help me with this. THX! are you guys stupid, as soon as absinthe 2.0.1 for 4s/4/3GS/touch 3 and 4 can all be jailbroke with the newley released absinthe today at the hack convention in Amsterdam, in itunes, back up your iphone, do a full reset on your phone to make the jailbreak g faster, plug it in, make sure you updated to 5.1.1, then it will detect your iphone, hit jailbreak, under 5 minutes your iPhone will be jailbroken, then restore your back up in itunes!! Same here. lockdown error -5. Also get the “unknown error” message when trying to connect to iTunes. Anyone sort this out? after jailbreaking with absinthe 2 my iphone had a cydia app.. then opened it, then rebooted itself and some of the system apps are missing.. Ran the jailbreak, everything worked fine. Followed the step to click Jailbreak on my ipad2 and it took me to an Absinthe app. App opened but when I clicked jailbreak it says “Absinthe could not be opened. restored the ipad and again the same ……..
Hi Can I use this and perform a Jailbreak on My Ipad2 even if i dont have internet connection? Lemme give some more info about my iPhone. And I use X-Sim to unlock my iPhone 4S (works flawlessly). Now… I was wondering why I cannot do a jailbreak? I don’t have anything on my iPhone and I did the iTunes restore, just in case. Anyone can help me with this issue ? Thanks in advance. The attached device is not supported. I am literally technology retarded so I have NO idea what I am doing wrong. Thanks!